The school will announce in the local newspaper and on the school website the time period it will accept student applications for the following academic year. The age requirement for entry into Lower Kindergarten, Upper Kindergarten, or Grade 1, is that children must have reached at least the age of 4 (Lower KG), 5 (Upper KG), or 6 (Grade 1) by December 31 of the year they have entered school. Kindergarten students must be toilet-trained, responsive, interactive, and generally be “ready for school”. At least ten percent of available vacancies will go to children of new families. The school will review under-represented groups to ensure diversity in its student body. For example, girls accepted will constitute no less than 50 percent (preferably 55 percent). The Lower School will review applications of children of staff members who have been fulltime employees for at least one year and applications for siblings. Both are reviewed based on criteria that measure each family’s historical cooperation with the school including 1) level of cooperation and involvement, 2) adherence to our school policies and 3) upholding of the school’s Quaker values. There will be a compulsory Orientation meeting for all parents including those of staff children and siblings on Thursday 7th of February at 3 pm at the Tabari Hall at the lower school outlining expectations and the mission of the school. Children and parents will be asked to attend a 45 min session on Friday 8th of February to orientate themselves with teachers and the classrooms. All Applicants will be required to attend Saturday 9th of February for 45 min without their parents in an in-class experience. For Rounds 1 and 2 a lottery will be used when the number of applicants of similar categories and with similar assessments are greater than the number of vacancies available. Parents of children with Learning Difficulties are required to attach professional documentation of their child’s diagnosis and developmental assessment by a specialist which includes implications and recommendations for his/her schooling with this application. Additionally, due to capacity limitations, the school will accept a maximum of three Lower KG students with identified learning difficulties each year. If RFS does not currently provide the services required by the student’s needs, the school reserves the right to require parents to provide additional support and/or financial resources to ensure the student can be appropriately accommodated. In processing the applications, priority is given to parents who already have children in the school, who are RFS employees, are RFS alumni, and who have applied in previous years. For 1st grade, applicants and their parents are required to attend an orientation session outlining expectations and the mission of the school. Applicants will be required to attend the following day for one hour without their parents in an in-class experience. Applications are reviewed according to criteria designed to determine the best fit between the school resources and the needs of the family/child. Criteria include: 1) educational and parenting philosophy; 2) commitment and indicated future involvement in the child’s education; 3) commitment to RFS values. A limited number of places may be available for children in Grade 2 through 11. All applicants are required to perform an admission test in English, Arabic and Math, and some applicants may be invited for an interview. The admission test scores are compared to the performance of the school’s students at the same grade level, and are interpreted as an indication of the student’s level of abilities in these subjects. Only applicants of whom can be expected that they will be successful at RFS, are considered for acceptance. 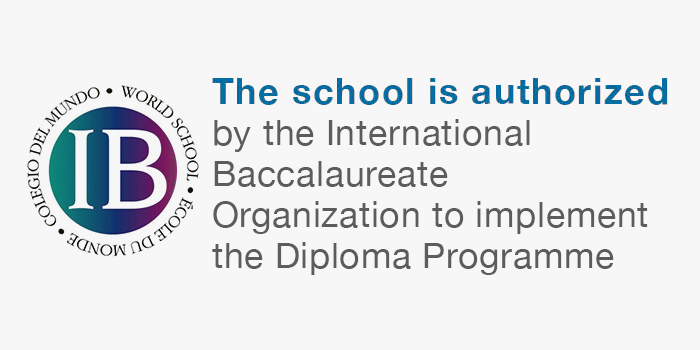 Students applying for Grade 6 – 10 are required to submit two sealed recommendation letters using the recommendation template on the website. Recommendations may come from two of administrator/counselors, mathematics or English teachers. Notification of acceptance for applicants will be sent through email. Parents whose children are not accepted will be notified as well. All parents must sign on the application form that they will accept the decision of the school, and that they will not contest the decision if it means that their child has not been accepted. If a child has been accepted, RFS requires a school transfer certificate from the previous school, as well as a certificate from the previous school indicating outstanding debts or financial arrangements have been settled. The school also requires that parents of accepted children pay the nonrefundable registration fee, and sign in writing that they abide by the rules of the school. Only when all these conditions have been met, is the child officially admitted. Registration will be considered completed after the child’s parent has paid registration fee and first tuition payment which is due in April and submitted postponed cheques based on the chosen tuition payment plan. Please note that the registration fee is not refundable.